We’ve been making these brown butter overnight waffles for the past six years now and they never disappoint! I remember having them for the first time in a cabin in Tahoe with my family the day after Thanksgiving. They were the best waffles I had ever had, so we’ve been making them ever since! 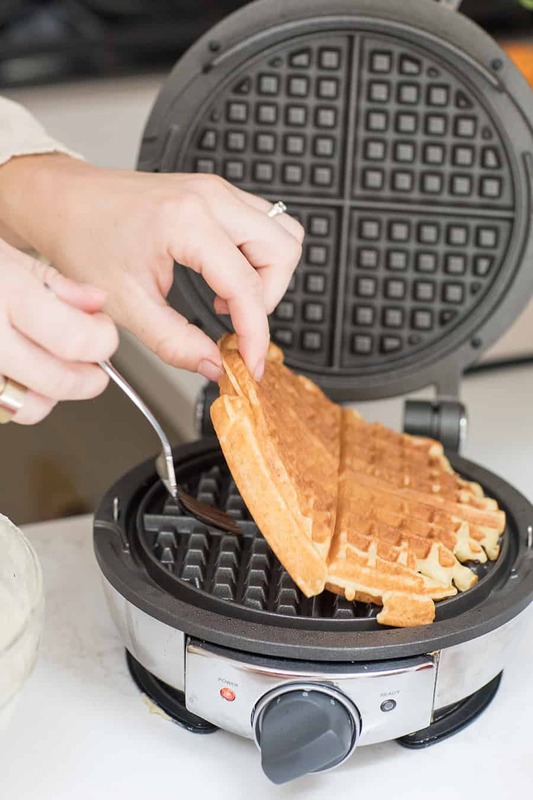 It’s a yeast waffle batter so the batter rises overnight, creating crispy, chewy waffles! The brown butter adds so much flavor to the batter as well. 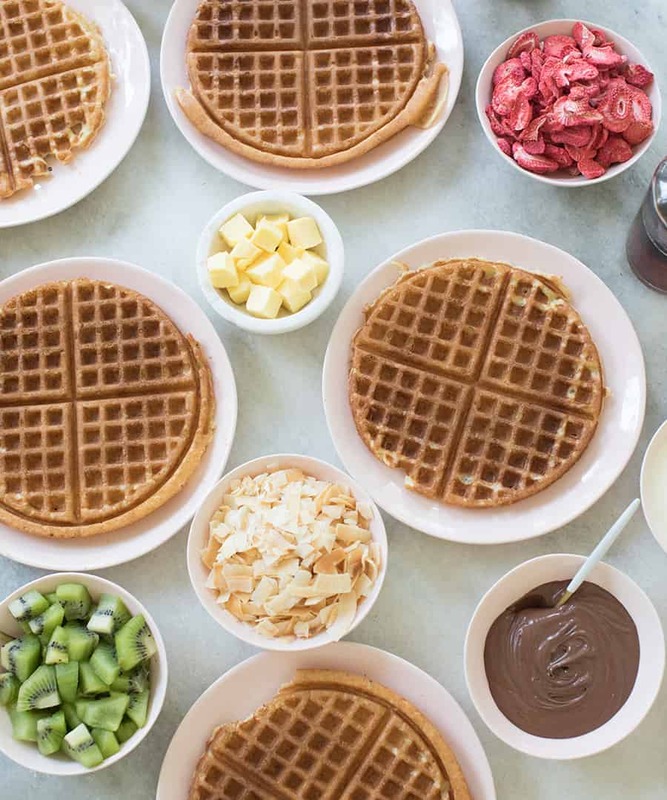 If you’re making these for guests check out our waffle bar here. I also make them for Christmas too! In a medium bowl, sprinkle yeast and two tablespoons sugar over the top if ½ cup warm water to let it dissolve for about 10 minutes. Add in the butter, milk, vanilla, salt and honey and stir. Cover with plastic wrap and let in the refrigerator over night. In the morning, remove the bowl and leave out room temp on the counter. In a separate bowl, beat two eggs and baking soda together until light and fluffy. Fold the eggs into the batter and you're ready to make waffles! 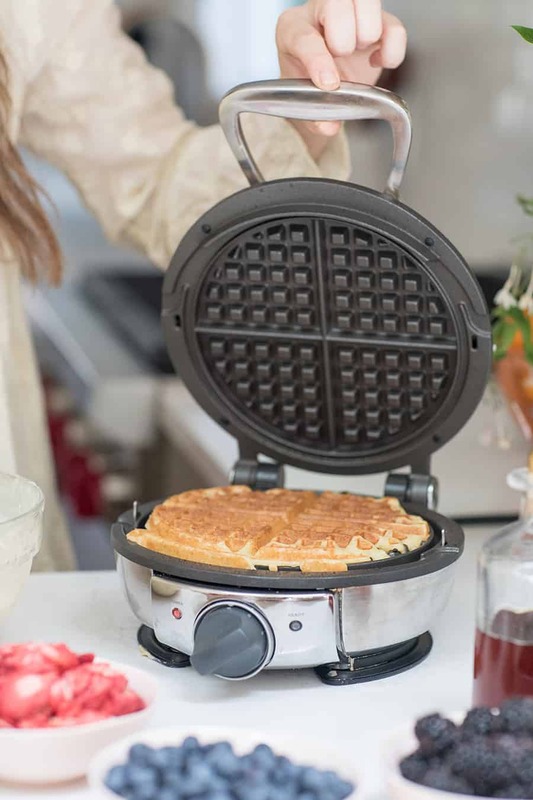 Pour about ½ cup, depending on the waffle maker, into a heated waffle maker and let them cook until timer beeps. 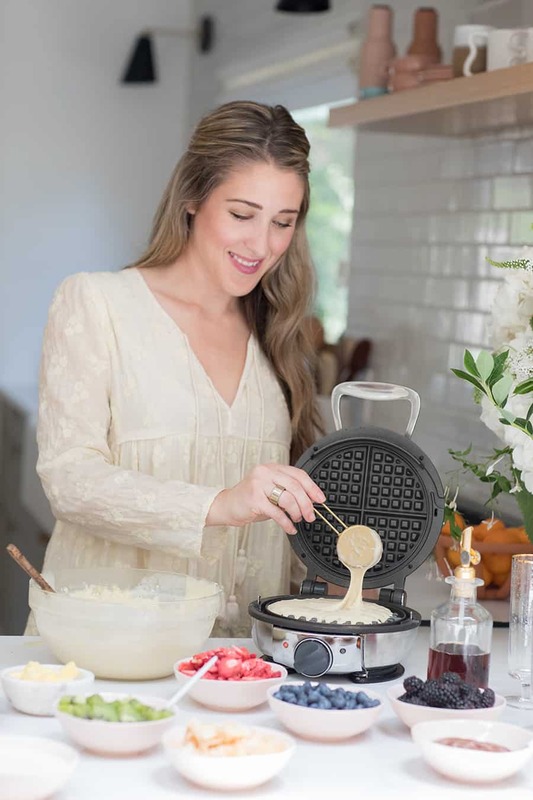 I have been using this waffle iron for years and really love it.